HOW DO THE KEYLESS SYSTEMS WORK? If your vehicle has keyless entry, your key will be emitting a unique radio signal which your vehicle recognises, some vehicles even unlock when your key is close and automatically lock when you leave your car. So long your key is within the required area of your vehicle, you will be able to start your car and drive on your journey. There are literally billions of code variations that your key could be emitting, thieves don’t really stand a chance of guessing the right code for your particular vehicle right? Well Radboud University in the Netherlands have found that by intercepting the signal only twice could narrow down the code from billions to 200,000. This then left a standard computer running a program which broke the code in only 30 minutes. So a thief could sit on a street and gather wireless signals as people entered their cars and run the program hacking entry to all the vehicles. The odds are still pretty low, as you would need a skilled thief with the right IT skills. 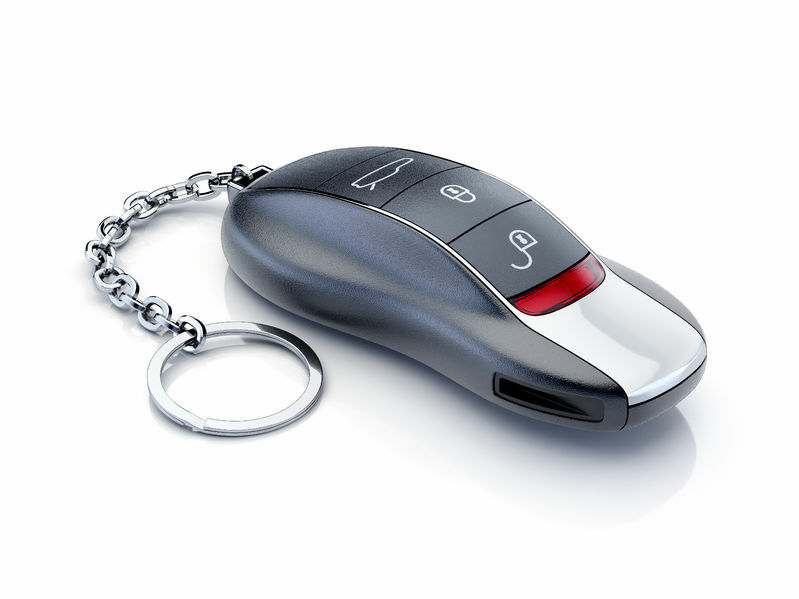 With your keyfob constantly emitting the code to enable the vehicle to be started and driven once it’s within a permitted range. The criminals for under £100 can purchase and amplifier which picks up and then transmits your keyfobs signal, enabling them to get in your vehicle and drive away whilst your keyfob is sat safely in your own home! Your car thinks the keys are on board as if you were in it! There are several ways to help stop the criminals obtaining your keyfobs unique code and driving off in your pride and joy. When you’re at home you could put your keys in any of the following places to help prevent the signal being scanned by a thief who could be lurking outside your property. You can also get pouches to put your contactless credit cards in, put your keys in there aswell so the thieves cannot read your keys signal whilst they're in your pocket.